In case you missed this announcement, there is a $25 Amazon GC Giveaway with low entries. Take a few minutes and enter now! It's time to re-think your breakfast routine! Challenge yourself and discover how much time and money you could save during the week by shopping and eating breakfast at home. The most important meal you eat is breakfast and the way to make it healthy is to eat at home. We do every day. It's easy to pull out a box of your favorite cereal, with some fresh fruit on top, and just pour on some milk. Just plan an extra 5 minutes into your morning and you'll thank yourself later when you avoid eating snacks from the vending machines or junk food in your cupboard. 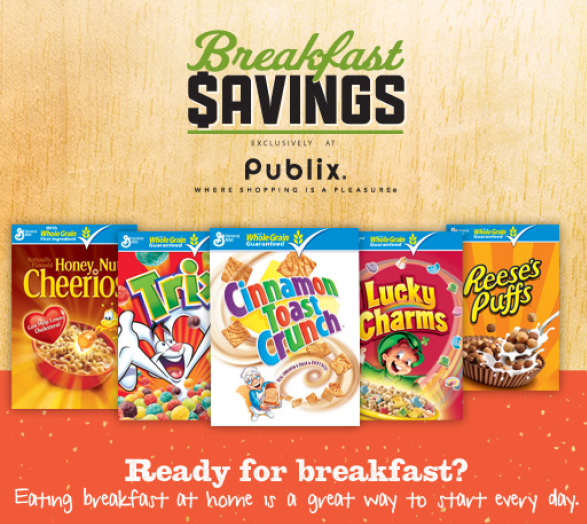 April 1st - April 10th during the Publix® Breakfast Savings event, take advantage of great savings on some of your family's favorites like Honey Nut Cheerios, Cinnamon Toast Crunch and other General Mills breakfast items. 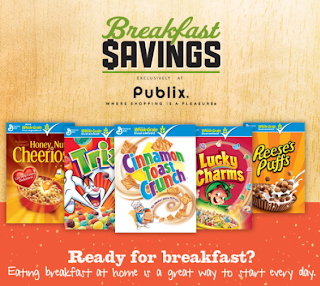 For coupon offers on varieties your whole family will love, visit the Publix Breakfast Savings page at http://www.everydaysaver.com/publix. 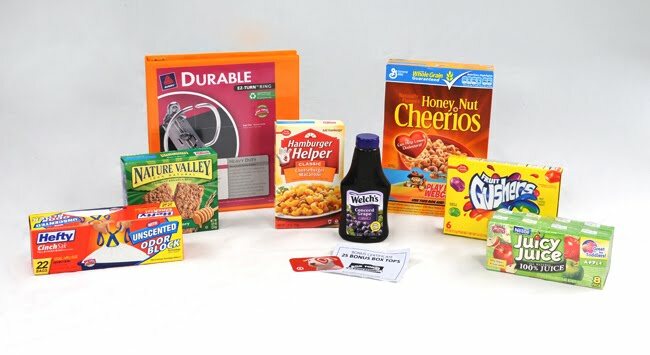 The information, products and General Mills gift pack were provided by General Mills and Publix® through MyBlogSpark. Congratulations to Jan cas...@aol.com (comment #18 OK...I spelled tequila wrong. That's what happens when you enjoy something so much that it doesn't matter how it's spelled. But I got the Dew right! ), you won a $25 Amazon gift code which will be emailed to you soon, compliments of Mountain Dew! Did you watch the NASCAR race this weekend? It was quite the thriller with a few laps to go and the lead change. My favorite #dewcrew Hendrick driver didn't win this time, but there are nine more races to go. I did enjoy a nice cold refreshing Diet Mt Dew though while watching the race. 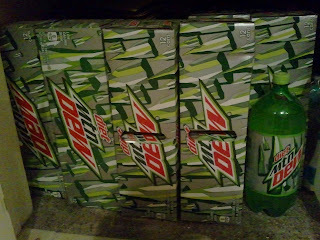 Mountain Dew is the ONLY soda that I'll drink and I just stocked up at the store last week with twelve 12 packs! I love the fresh, light flavor and it goes down smooth when you're thirsty and hot. It's my favorite beverage in the afternoon to keep me wide awake. And you can enjoy it too! Join the #dewcrew. They are providing a $25 Amazon Gift card code to one lucky reader in this giveaway. The giveaway ends on Friday, September 21 at 5pm PST. Open to US residents Only. Submissions after this date and time will not be considered eligible to win. 2. Leave a comment telling me why you like Mountain Dew. Make sure your email address is in your blog comment since that is how I will contact the winner. 3. Like my facebook page and leave another comment on this blog post telling me you did so. Disclosure: I am being compensated monetarily for hosting this giveaway. Do you ever get frustrated when you realize that you go to to your stockpile and go to grab a box of cereal and you find you only have one box? Or maybe when you run out of toothpaste knowing you have more, but you can't find any more in the house? Well the good news is that Publix Supermarket is running their Running Out? Run In. promotion to help you receive rewards for stocking up on participatinoug items from General Mills and Proctor & Gamble that you tend to use the most. There is also a mail in rebate offer. You can download the form as well. 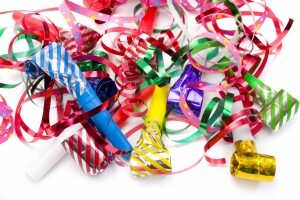 Now onto the fun stuff, the Giveaway! One Frugalapolis reader will win a $25 Publix gift card. Entering is simple using the Rafflecopter widget. 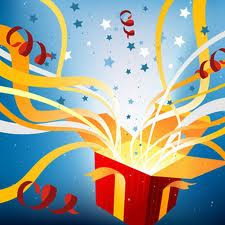 This giveaway is open to US Residents only and will end on July 26, 2012. One winner will be chosen at random and will be contacted via email to claim prize. Please leave a valid email address in the event you are selected as a winner. Please follow giveaway rules or all entries will be disqualified. Disclosure: The Publix gift card, information, and additional gift pack have been provided by General Mills through #MyBlogSpark. If you haven't already entered this Publix Italian Days giveaway for a $25 Publix gift card, be sure to take a minute to enter using the rafflecopter widget. A winner will be announced tomorrow. Al dente pasta, savory sauces, hearty meatballs, these are just a few of the delicious ingredients that can be featured in authentic Italian cuisine. When it comes to cooking traditional Italian dishes the possibilities are endless, and you don´t have to travel all the way to Italy to taste the tradition! 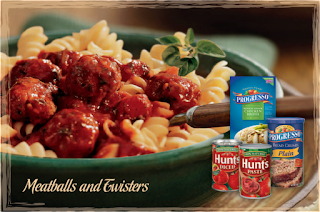 With Italian Days, available exclusively at Publix, you can find great prices and coupon savings on some of your favorite brands including Progresso, Green Giant, and Muir Glen and purchase everything you need for great Italian recipes like, Meatballs and Twisters. Click - Stay up to date with the latest General Mills promotions happening at Publix, by visiting ClickCallMail.com. Once you´re registered and logged in, you can participate in any the current promotions. ENTER HERE. Here are the terms of sweepstakes. Enter between 12:01 a.m. Eastern Time (“ET”) on February 13, 2012 and 11:59 p.m. ET on March 12, 2012. Limit one (1) entry per household regardless of the method of entry. Five hundred (500) winners will each receive a one hundred dollar ($100.00) Publix Super Market gift card to be used at their neighborhood Publix Super Market only. Approximate Retail Value (“ARV”) of all prizing is $50,00.00. Call - If you´d prefer to enter the sweepstakes and participate in other promotions via telephone, feel free to call the General Mills hotline, at 1.800.627.6059, and be sure to say that you want to enter the 2012 Italian Days Sweepstakes. Please be sure to provide your complete contact information (Full name/address/zip code/phone #). Mail - If you prefer to participate via mail-in entry, print and mail your complete contact information (Full Name/address/zip code/phone #) to 2012 Italian Days Sweepstakes, P.O. Box 44257, Atlanta, Georgia 30336. In celebration of Italian Days at Publix, I'm having a giveaway of a $25 Publix gift card. 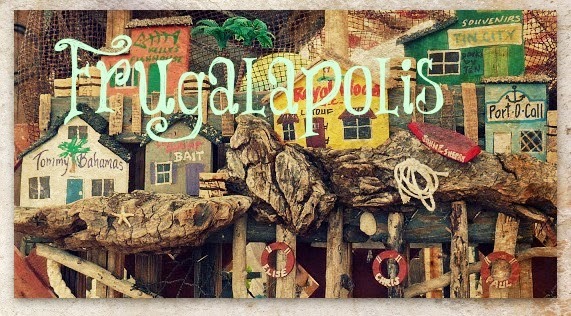 Enter below on using the Rafflecopter widget, giveaway ends 2/22/12. Disclosure: The Publix Club gift card, information, and giveaway have been provided by General Mills through MyBlogSpark. Thank you to everyone who entered the The Running Out? Run In $25 Publix Gift Card Giveaway sponsered by General Mills thru MyBlogSpark. I used the rafflecopter widget and it randomly selected,John Joseph as the winner. The winner has been notified via email and has 48 hours to respond (by Fri morning), otherwise a new winner will be selected. If you didn't win, don't despair! There will be another $25 GC Giveaway announced later today. Check back and enter that one too. 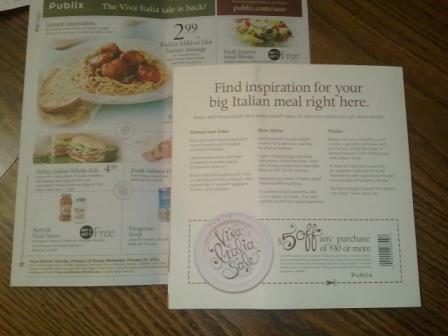 Check your morning Tampa Bay Times newspaper for the Publix Italian Day promotional flyer, there's a $5 off $30 Publix coupon in the separate flyer. It was in yesterday's Tampa Tribune in case you missed it. It expires 2/29/12. Also, don't forget to enter the giveaway for the $25 Publix Gift Card that ends today. And come back tomorrow because a NEW giveaway starts for another $25 Publix GC. Do you hate reaching for something you need only to realize that you´ve run out? 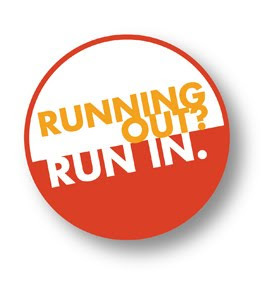 If you´re running low on your favorite Yoplait yogurt flavor, Big G breakfast cereal or tube of Crest toothpaste, then head to Publix® during the Running Out? Run In. in-store event so you can purchase the everyday products that you love and need more of! Receive rewards for stocking up on some of your favorite General Mills and P&G products at Publix during the Running Out? Run In. event this February. Receive a $5 Publix® gift card to use on your next shopping trip when you purchase $30 or more in participating items during the event (2/8 - 2/25); simply mail in the rebate form found in-store or online at runningoutrunin.com along with your original receipt(s). Enter the rafflecopter giveaway for a $25 Publix Gift Card. Disclosure: The Publix gift card, information, and giveaway have been provided by General Mills through MyBlogSpark. Thank you to everyone who entered the The Best Meals Happen at Home $25 Publix Gift Card Giveaway sponsered by General Mills thru MyBlogSpark. I used the rafflecopter widget and it randomly selected Julie H. as the winner. The winner has been notified via email and has 48 hours to respond (by Fri morning), otherwise a new winner will be selected. If you didn't win, don't despair! There will be a couple more $25 GC Giveaways this month and the next one will be announced in the next week. Check back and enter that one too. Every night after work we run around doing errands or go to the theme park for a walk. By the time we get home DH wants to listen to his favorite afternoon talk show, so we don't eat dinner til after 7:00 pm. By then, I'm on chill down mode so its great to just make something simple at home for dinner. Last night we had some chicken nachos using the great recipe from BestMealsatHome.com. To make it cheaper and easier to make your best meals at home, Publix is teaming up with General Mills to offer you some great deals. Stop by Publix during their "Best Meals Happen at Home" event to find great savings on some of your favorite GM products. Be sure to visit BestMealsatHome.com to find fantastic recipes, which can be cooked in 30 minutes or less, and your family is sure to love. In addition to these great savings, you also have the chance to win a $25 Publix Gift Card provided by Publix through #MyBlogSpark. Just enter using the Rafflecopter entry form before it ends on Feb. 1, 2012. Disclosure: For hosting this giveaway, I was provided with the information, the giveaway prize and a $25 Publix GC for myself from General Mills through MyBlogSpark. 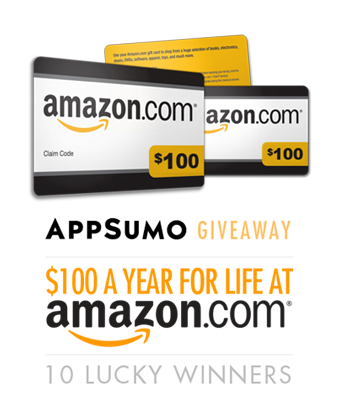 Win a $100 Amazon GC every Year for Life! Publix Great Deals on Great Meals are back! General Mills and Publix have teamed together to provide us with some yummy products to make some great meals. They have put together a nice site with lots of coupons and recipes, like Creamy Chicken Casserole, Beef Taco Skillet and Buffalo Cheese Dip! There are also great Publix coupons that you can stack with manufacturer coupons to get some great deals. I went out today and got some of the General Mills Cereals that were BOGO and found a nice display at the store with all these coupons. These are the same coupons that are printed in the upcoming ad. You can also print the coupon sheet HERE before you go shopping! Coupons are valid 8/18 – 8/24. The in store, and online coupons state “One deal per coupon”. The coupons in the ad state "Limit one deal per coupon per customer". As part of this promotion, I will be hosting a giveaway of a $25 Publix Gift Card to one lucky winner. Visit the Great Deals on Great Meals website and leave a comment telling me which product is your favorite. Blog about this giveaway and leave a link in your comment. Disclosure: The Publix gift card, information, and giveaway have been provided by General Mills through MyBlogSpark. I have been provided with a prize pack equal to the winner. All opinions are my own. To enter my giveaway for the $25 Publix Gift Card HERE. Its open until the end of the week. I'm finally getting caught up with online activities after being out of touch for a week on our cruise. It sure is nice to get away from phones, news, TV, and computers for a while. I'm not sure I want to get sucked in again. Life is nice without it all. Anyway, those of you who shop at Publix should enter my giveaway because your chances are excellent, it has very low entries. Disclosure: General Mills gave me one gift card to keep and one to giveaway, as part of the #MyBlogSpark program. Now that I'm back in town from my latest travel adventure, it's time to start shopping and couponing again. One of my favorite promotions of the year at Publix is the Italian Days two week sale. From February 17th through March 2nd, visit your local Publix to take advantage of the great savings on some of your favorite General Mills brands such as Progresso, Green Giant, Pillsbury, Muir Glen and Totino's, and save $5 when you purchase 20 participating products. Look for the flyers with coupons at your Publix and put together some great shops! While visiting Italian Days at Publix, you can also enter the Publix Italian Days Sweepstakes, sponsored by General Mills, for a chance to win one of four grand prizes of $10,000 worth of free groceries or one of 200 $100 Publix gift cards being given as prizes. There are three easy ways to enter for a chance to win the Sweepstakes. 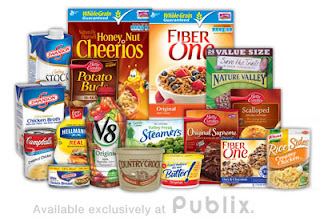 Enter via phone, mail or at ClickCallMail.com – a convenient one-stop website, where you'll also be able to download great coupon savings on some of your favorite General Mills brands and other great offers from Publix. Click – Stay up to date with the latest General Mills promotions happening at Publix by visiting ClickCallMail.com. Once you're registered and logged in, you can participate in any current promotions. Call – If you'd prefer to enter the sweepstakes and participate in other promotions via telephone, feel free to call the General Mills/Publix hotline, at 1.800.627.6059, and be sure to say that you want to enter the Publix Italian Days Sweepstakes. Please be sure to provide your complete contact information (Full name/address/zip code/phone #). Mail – If you prefer to participate via mail-in entry, print and mail your complete contact information (Full Name/address/zip code/phone #) to P.O. Box 43425 Atlanta, GA 30336 and be sure to write "Publix Italian Days Sweepstakes" on the outside of the envelope. So, onto the giveaway! I will be giving away one $25 Publix Gift Card to a randomly selected reader. Please leave a comment about what your favorite Italian meal is on this post. Giveaway will be open until 12:00am EST Saturday 2/26/11. Please provide an email address or link to your blog so I can notify you if you are the winner. Only one entry per person. Don't forget to enter my #giveaway for a $25 Target Gift Card and General Mills gift package which includes Hefty bags, Cheerios, Grape Jelly, Granola Bars, Fruit Snacks and Hamburger Helper products. The giveaway closes tonight 8/31/2010 at midnight. I just used my Target gift card to yesterday to score some cheap Mt Dew and Sobe water. Over the past year I've accumulated quite a bit of product (food and household supplies) that was either free or a moneymaker. I actually still have stuff I bought last year not realizing how long it would last. So I was at happy hour with a friend who was telling me how she goes to Target and spends $300 every month buying stuff for her house like paper towels, laundry detergent, shampoo, toothpaste, deodorant, cleaning products, and food. I told her I had most of that stuff in my stockpile and was planning on having a garage sale to sell most of it. She said she wants the whole bunch of it. So I made a list of over 100 items valued at over $350, priced an average of $1 each and I'm going to sell her 6 boxes of product for $100. Its totally a win-win deal because she needs the stuff, and I don't. I'm going to take the cash and get Publix gift cards for my shopping in July. This month I spent about $70 in cash, and used $95 in gift cards for about $165 in spending. To me that seems a little high, since there are only two of us. We did stock up on chicken and Mt Dew, but I would like to be at about $100 for the month. I think having gift cards is like having free money so I spend it more freely, but really I should change my mindset here. Anyway, I'm super excited to sell my stockpile. Even though I've moved out 6 boxes of stuff, it hardly made a dent in the spare room. Still lots of gatorade, powerade and SOBE to move through. I am wondering if I sold the stuff too cheap. Like the Olay Regenerist pump facial cleanser for a $2? All detergent 50 oz for $1.50? What do you think are fair prices to sell your stockpile items? Don't forget to enter the Wanchai Dinner and Tea set Giveaway which closes tomorrow. Your chances are REALLY good to win! The other night we had just gotten back from a nice motorcycle ride from the out of town Publix and then we had to shock the pool, and before you know it - I was hungry for dinner. Since we just stocked up on ice cream, I wanted to use up something from the freezer, so I grabbed the bag of Wanchai Ferry Beef & Broccoli meal. I flopped it on the counter and was reading the back to figure out how long to microwave it. Since we just finished our kitchen remodel, I love the turning plate to cook microwave meals. Anyway, I was disappointed to determine that this meal required cooking on the stove top. I was trying to figure out how to make it in the microwave but once I opened the bag I realized the rice packet could indeed be microwaved, but the sauce packet was frozen and needed to be simmered with the frozen vegetables and few pieces of beef. The serving size is not very big on this product, so you better either add more rice or have it as a side dish. We ended up cooking it in a saucepan on the grill while we did some of our backyard chores. We also added some filet mignon leftovers to make it meatier. The product itself is a little sparse in meat, but the flavor is great. It doesn't have MSG or lots of fat, but man it tasted wonderful. The vegetables were colorful with tender broccoli bites, sweet red pepper strips and crunchy water chestnuts. It tasted like a restaurant meal! This was a great quick and lite meal and I would definitely consider getting it if Publix had it on BOGO and there were coupons to stack with the sale. It is kind of pricey, and there are lots of great frozen meals out there that you can get for one buck if you stack a good sale with a good coupon. So while you're waiting for a sale to come along at your favorite store, here's a coupon for $1.50 off one HERE. If you want to see what other wonderful flavors or meal tips they have you can visit the Wanchai Ferry website HERE. Be sure to try the two additional new flavors - Kung Pao Chicken and Szechuan Style Chicken, which will soon join five other delicious meals including Orange Chicken, Shrimp Lo Mein, Spicy Garlic Chicken and Sweet & Sour Chicken. 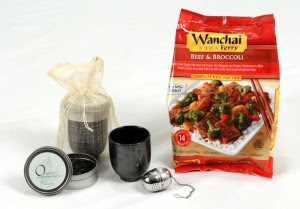 As a bonus for my readers, One (1) lucky reader will receive a Wanchai Ferry prize pack that includes a VIP coupon for a Wanchai Ferry Frozen Entree and two tea sets (2 mugs, 2 tea strainers, and 2 tins of green tea). Please leave a comment about what Asian flavor you would like included in this product line; include a valid email address or you may contact me directly with your contact information if you win. This giveaway will end at midnight on June 30. Winner will be picked from Random.org. Open to US and Canadian residents only. I must disclose that the product, prize pack, information, and giveaway have all been provided by Wanchai Ferry through MyBlogSpark. All opinions are my own.